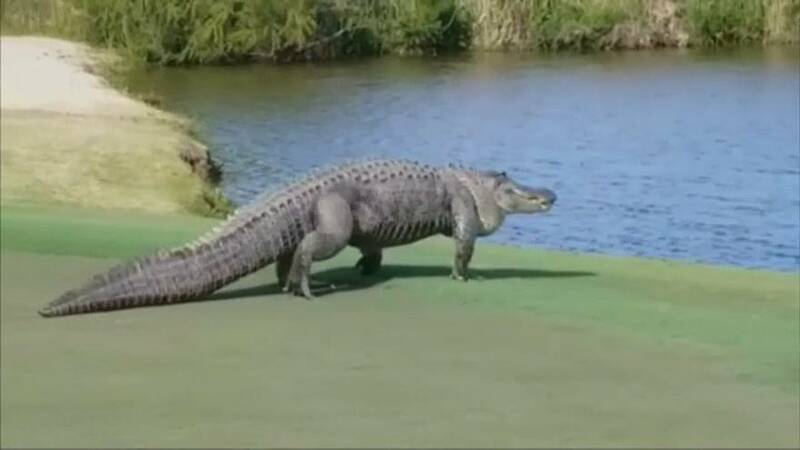 An enormous alligator was spotted strolling onto a golf course in Georgia, United States, on Sunday (March 24). The large reptile was filmed interrupting a game of golf before dipping into a water feature at The Club golf course in Savannah Harbor. Eyewitness Ed Vance, who took the footage, told Reuters alligators are a common occurrence on the course however this particular alligator's size stood out. "When I noticed how big this one was I instinctively reached into my golf bag, grabbed my phone and started filming it. I thought my four-year-old son would love it. We were all in awe of how massive it was," he said.